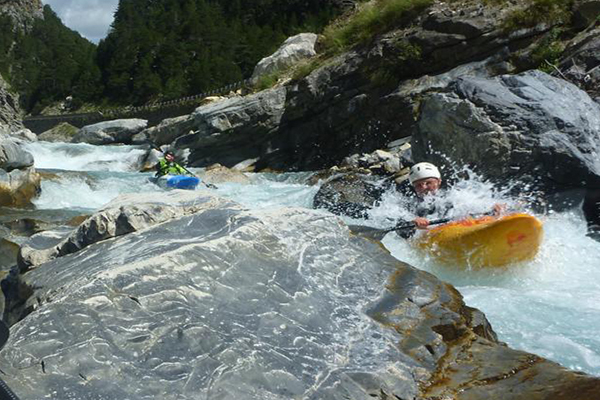 To many paddlers, white water is the be-all and end-all of kayaking. The majority of slalom competition is held on white-water courses of varying degrees of difficulty, and the opportunities for recreational white-water paddling in the KKC’s paddling area are many and varied, although all necessitate some travelling as the water in our immediate surroundings is all flat. The club organises frequent outings which allow paddlers to try their skills on white water rivers of varying grades of difficulty supervised by highly qualified instructors, and also organises opportunities for paddlers to gain the BCU’s Star test awards, the higher levels of which require some competence in paddling white water.